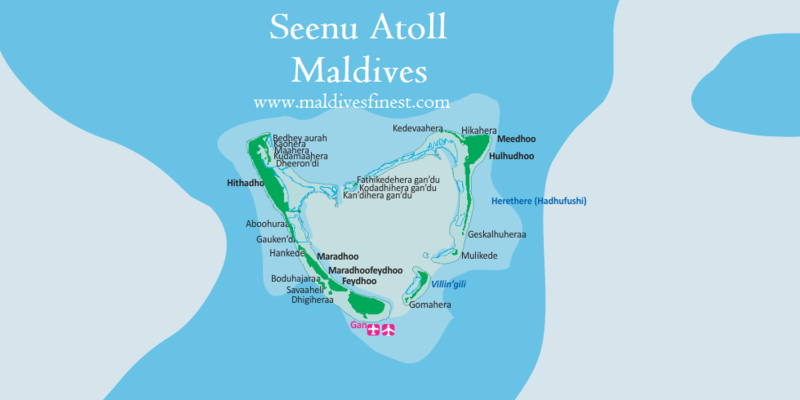 Also regarded as Addu Atoll, Seenu Atoll is southern most region of the Maldives. There is an international airport in Gan island. This is also one of the biggest atolls in terms of population and land area with many islands connected by road. Canareef is a four star resort at Herathera island, the five star deluxe Shangri-la Maldives is at Vilingili and offers direct private charter flights to Gan for rich tourists who want to holiday at Shangri-la Maldives.